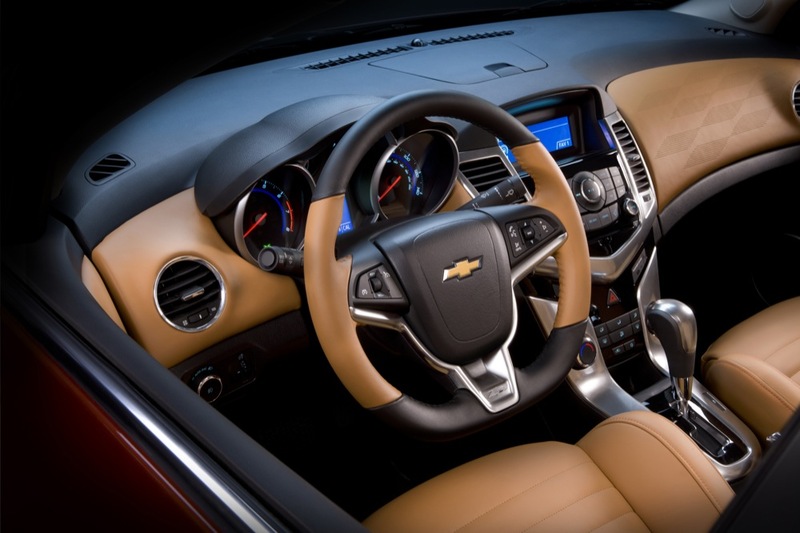 Okay, now Chevrolet is teasing us, and they know it. 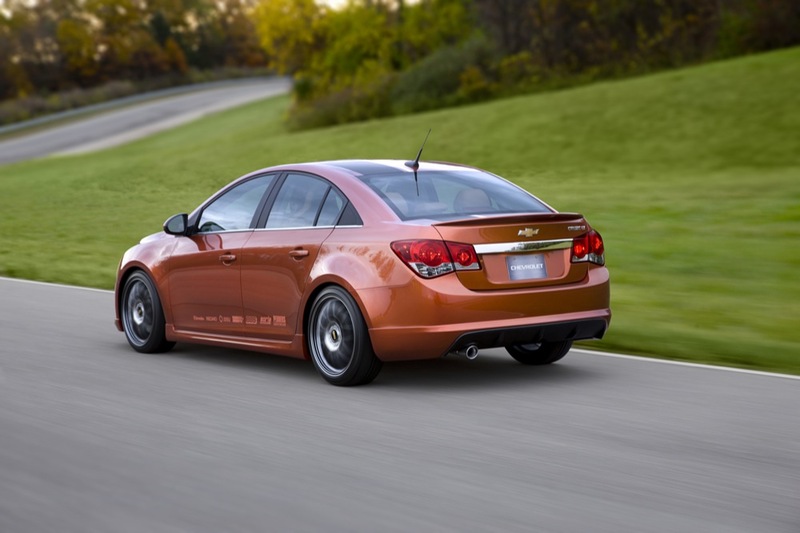 Why do they have to go and call this properly-tuned and detailed Cruze a concept? Either The General is experimenting to see if there is actually potential for its compact cars in the tuner world, or they know it already and have simply chosen to tease us. 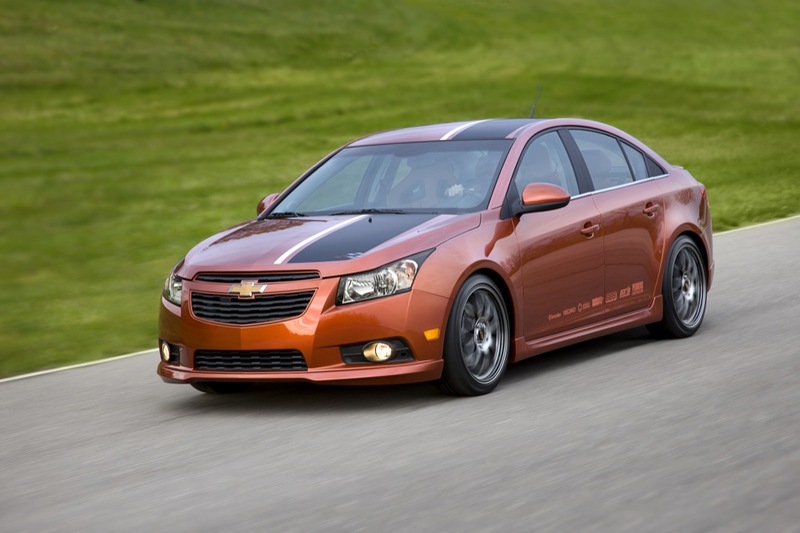 The Cruze Z-Spec Concept (don’t you hate that word sometimes?) is a compilation of tuner performance, featuring the turbocharged 1.4L Ecotec LUJ engine underneath the orange metallic and gray stripped hood. Assisting the motor is a cold-air intake system by K&M and a Borla high-flow exhaust system. Behind those aggressive BBS 19-inch wheels rest Brembo brakes and suspension components from Pedders. According to the presser, the Cruze Z-Spec demonstrates a cohesive design with a family of factory-engineered accessories and the best aftermarket offerings, all in one theme. Mission accomplished. Any 20-something can tune the car to the Z-specifications shown – which is a good thing – because we may never see an official production Cruze with this much curb appeal directly from General Motors… and this is rather unfortunate. Oh yeah – I like this !! Strong looking – even for a 4 door! Sharp interior too! Let’s go GM and move this beyond concept already! Good stuff!!! I don’t care for the stripe. The larger wheels and tires are nice though.